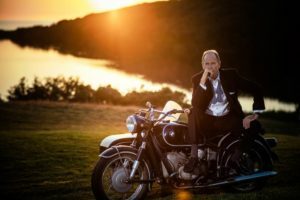 Livingston Taylor picked up his first guitar at the age of 13, which began a 50-year career that has encompassed performance, songwriting, and teaching. From top 40 hits, including “I Will Be In Love with You” and “I’ll Come Running” to “I can Dream of You” and “Boatman,” Livingston’s creative output has continued unabated, covering varied musical genres from folk, pop, gospel, jazz – and from upbeat storytelling and ballads to full orchestra performances. Oh, by the way…did you know that Livingston Taylor is James Taylor’s brother? Catch him live on Mana’o Radio this Thursday evening with David Wiltsie starting about 5:30 HST! Tune in on Maui at KMNO 91.7FM or from anywhere right here on manaoradio.com! Just click the Live Stream button above!